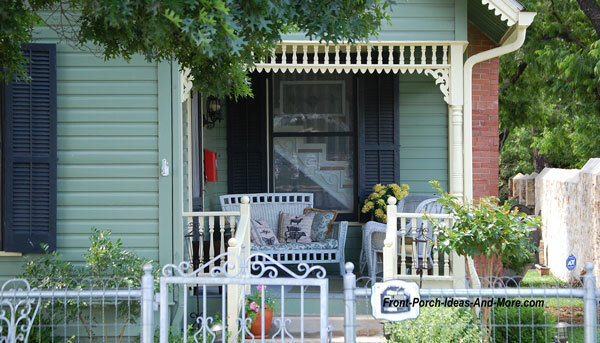 Fredericksburg Texas is not only a popular get-away town in the Texas Hill Country but also can boast of its wonderfully adorned front porches. 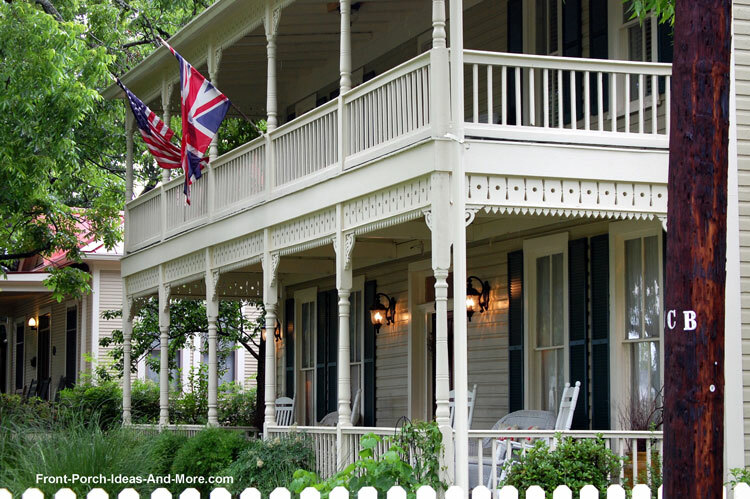 Rich in German immigrant history and the peach capital of Texas, this picturesque community was a fun place that Mary and I visited on a wonderful spring day. 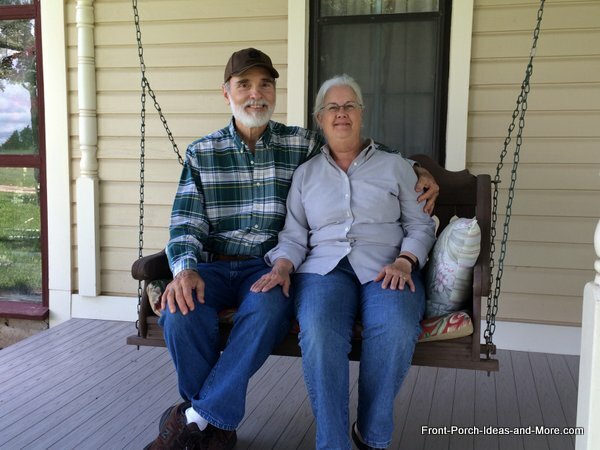 Mary and I, along with our guides and friends Gregory and Holly Tatsch, founders of Vintage Woodworks, had a fun day photographing many of the wonderful porches in Fredericksburg. We love the metal gate too! 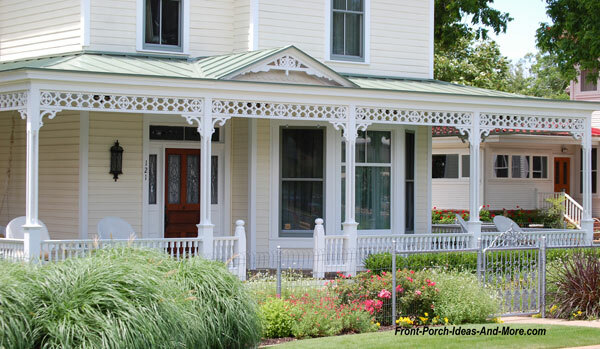 We couldn't help but notice just how many porches were adorned with exterior house trim. 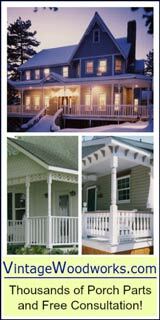 As you will note in the following photos, the ideal exterior trim can transition your porch from quaint to spectacular! 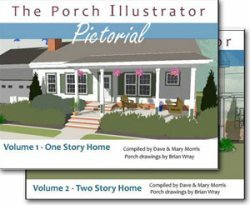 Note how the size of porch columns affects the overall appeal of the home. 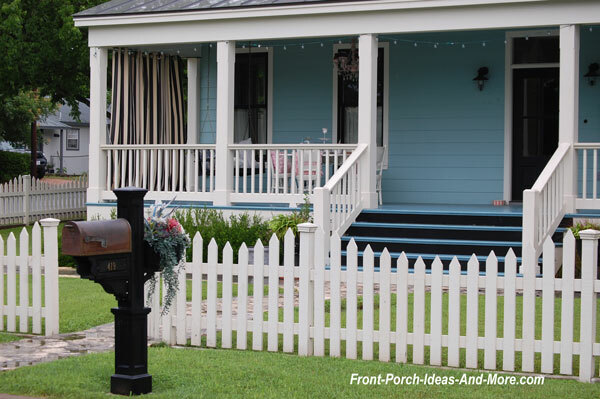 On the porch above, standard 4x4 porch columns with brackets give this porch a more "airy and open" appeal whereas, the porch columns below give this porch a bolder look. 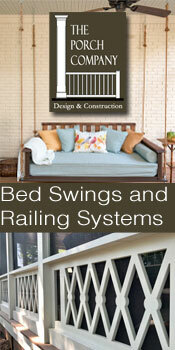 Both work well with the architecture of the homes. 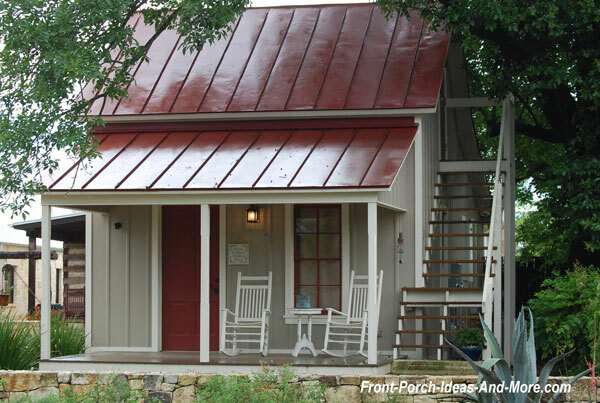 Outdoor porch curtains help your porch stay clean and protect you from the sun, dust, wind, or rain. 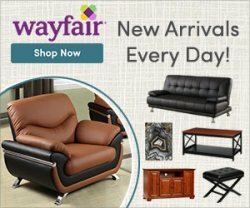 You can find them in a myriad of patterns and colors. 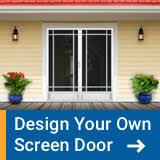 You can even make your own outdoor porch curtains. 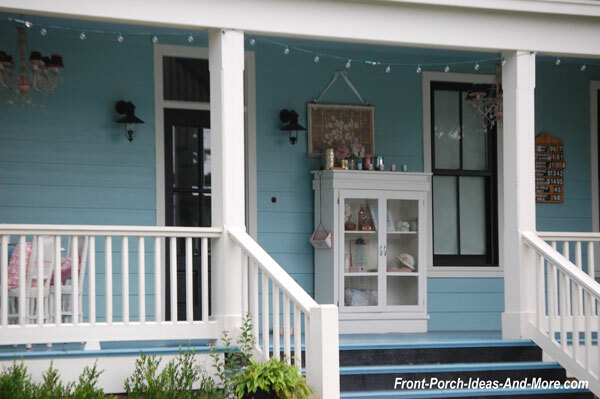 Adding a curio cabinet or other like piece of furniture on your porch creates a nice focal point and is definitely a conversation starter for guests. 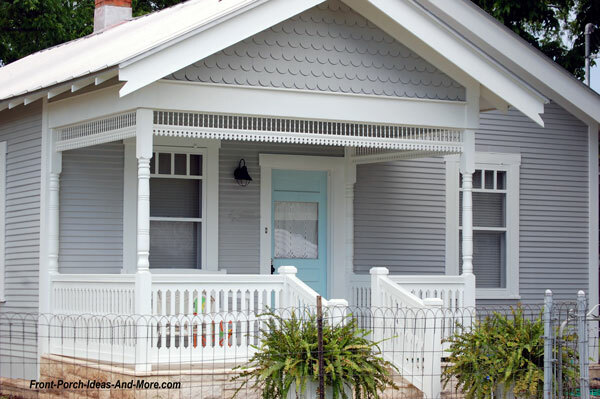 Mary and I love picket fences like the one below. 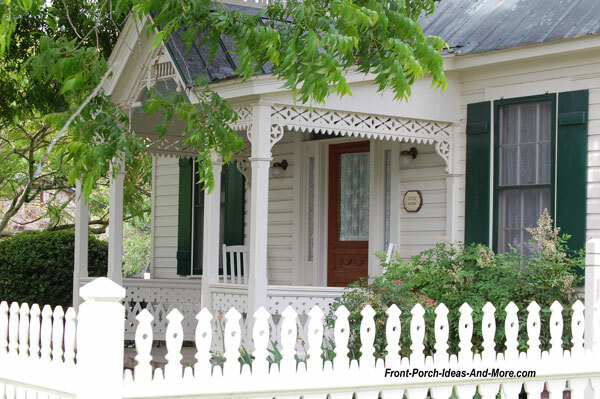 There's just something about a white picket fence in front of a home - perhaps we've been influenced too much by either Huckleberry Finn or Opie! 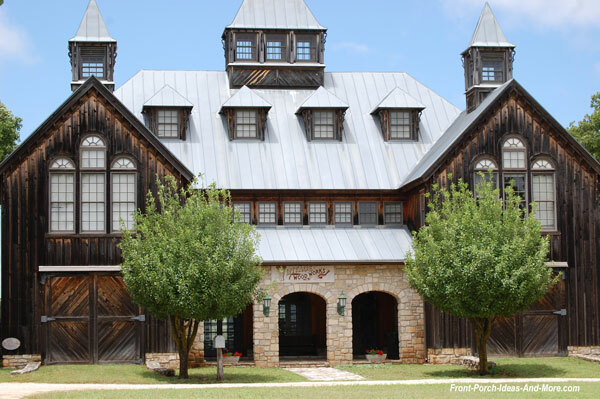 When we visited Gregory and Holly Tatsch, founders of Vintage Woodworks, at their Fredericksburg TX home, we had the honor of visiting the porch trim library in their amazing barn. Up in their beautiful handcrafted barn, which you will get to see on the video, Gregory shares some most helpful tips about placing trim on your porch. Mary and I were introduced to Sunday Houses. 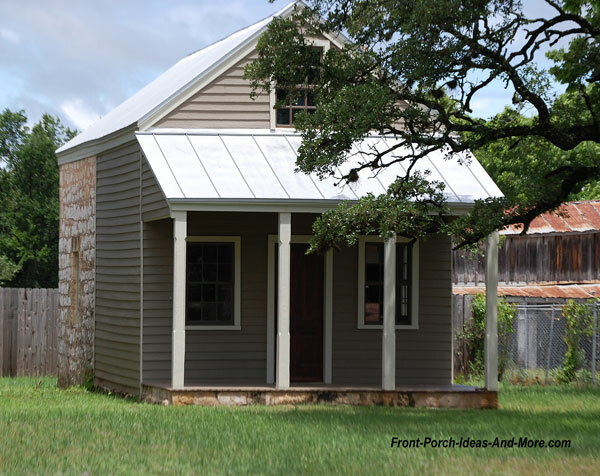 Sunday Houses were born out of necessity by early German immigrants to the hill country of Texas. 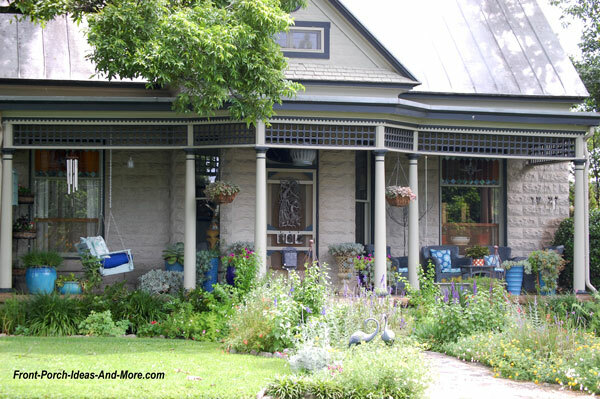 They built their primary homes on the land they farmed. 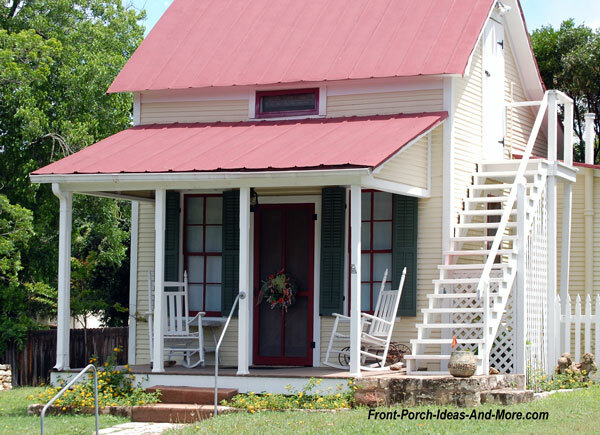 Because of the distance to town they built their lots in town they built Sunday Houses in which to stay when they came to town for supplies and to attend church. 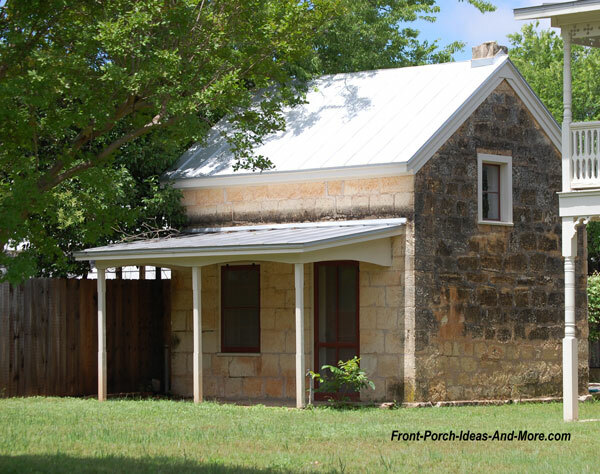 Designated as a historical landmark, John Peter Tatsch built the house himself in 1856 using local stone. Tatsch and his family emigrated from Germany in 1852. 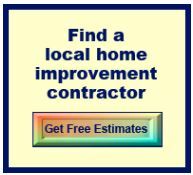 John was a master cabinetmaker in Fredericksburg. 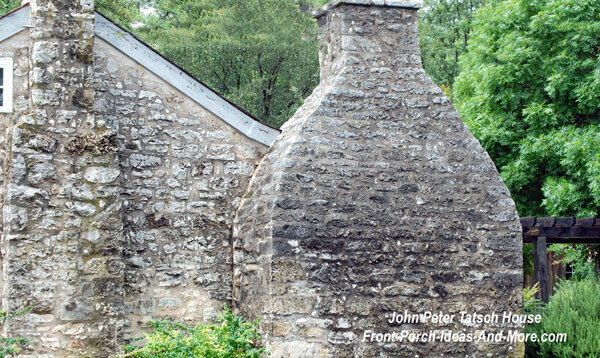 We were taken back by the size of the fireplace and chimney; you could roast an entire cow in that structure. But then again, everything's bigger in Texas! 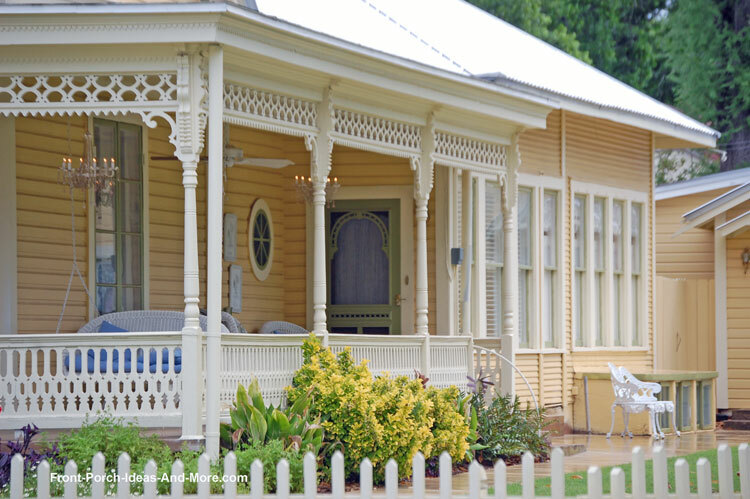 Fredericksburg Texas is also home to the founders of Vintage Woodworks, an amazing company born at a kitchen table, that makes exquisite custom porch parts like porch brackets, spandrels, running trim and more in their Quinlan, TX location. We got to not only tour their headquarters (which is a wood lover's dream building), but also visit Gregory and Holly's beautiful farmhouse home. 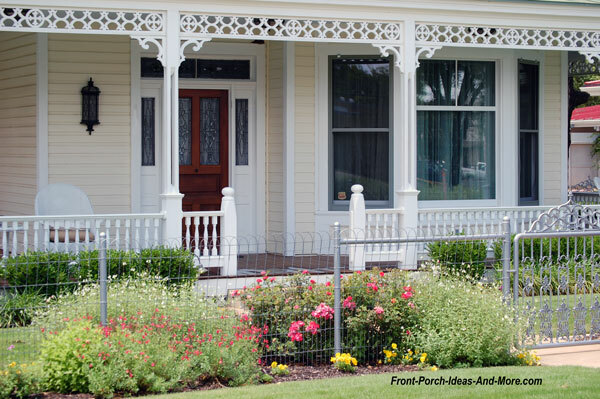 Some of the splendid fretwork and handcrafted porch embellishments you see in the photos above were handcrafted by Vintage Woodworks. 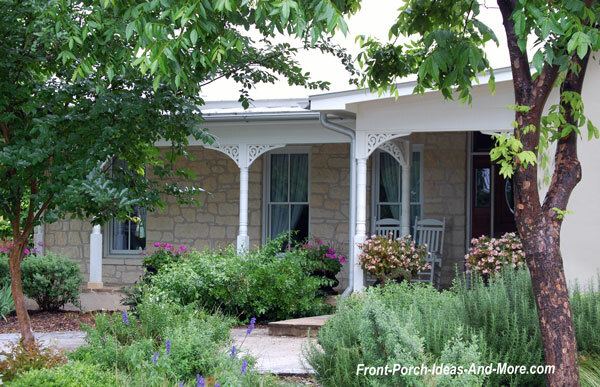 Gregory and Holly made us feel so welcome at their beautiful Fredericksburg Texas farmhouse. Over the years, they have become very dear friends to Dave and me. 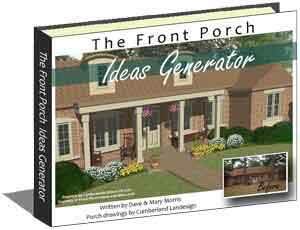 We really appreciate their sponsorship with Front Porch Ideas and More. 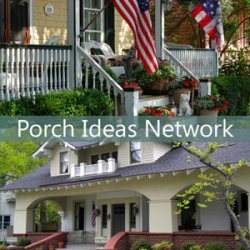 We also welcome you to visit our porch parts overview where we feature Vintage Woodworks. 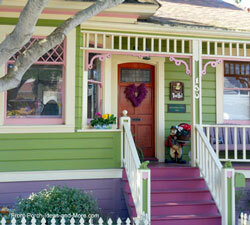 Be sure to check out these fabulous Victorian homes too!